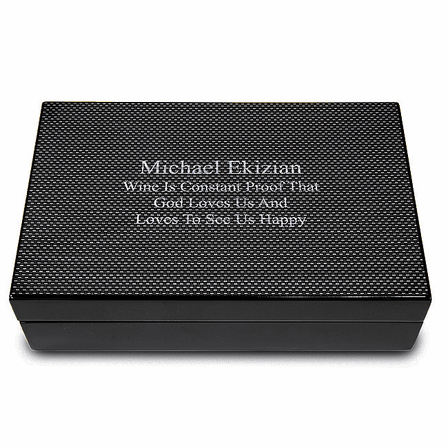 FEATURES/SPECS This carbon fiber personalized keepsake and stationery box combines a casual look with a practical design. 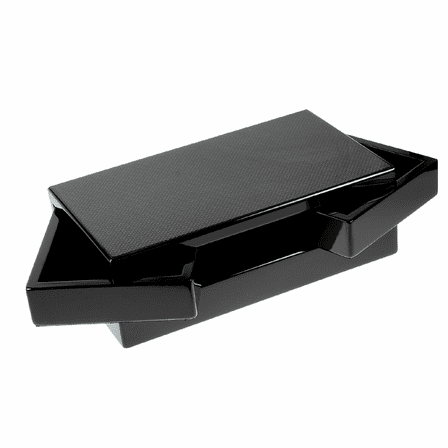 The modern carbon fiber look is sure to impress and inside reveals a ton of space. 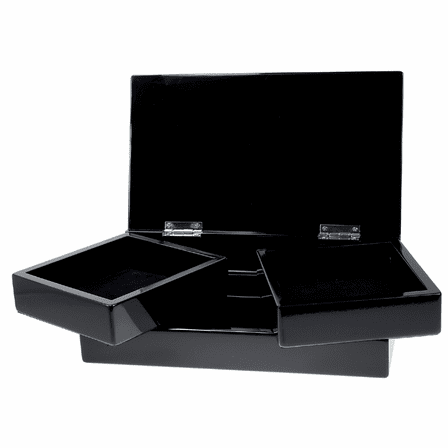 There are three underneath compartments to store pens, tacks, paper clips and other small items. 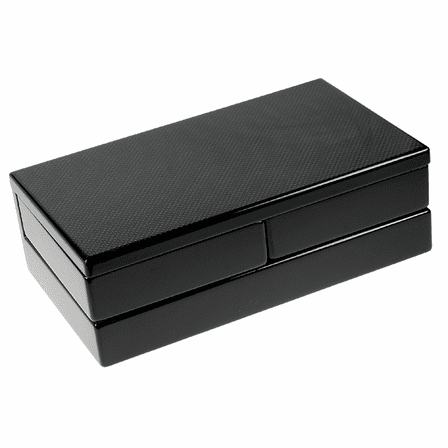 Stacked on top are 2 removable drawers that can hold memo pads or stationery. 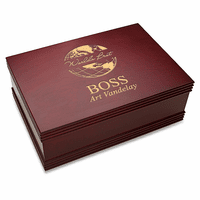 Add free custom laser engraving to the lid for a personalized touch. The laser engraving produces a unique white marking that contrasts against the carbon fiber finish beautifully. 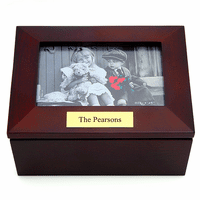 This personalized keepsake box comes packaged in a gift box. What are the interior dimensions of each compartment? 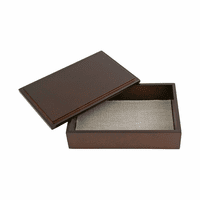 The two top, rotating compartments are 4 1/3" x 4 1/3" x 1 3/8". 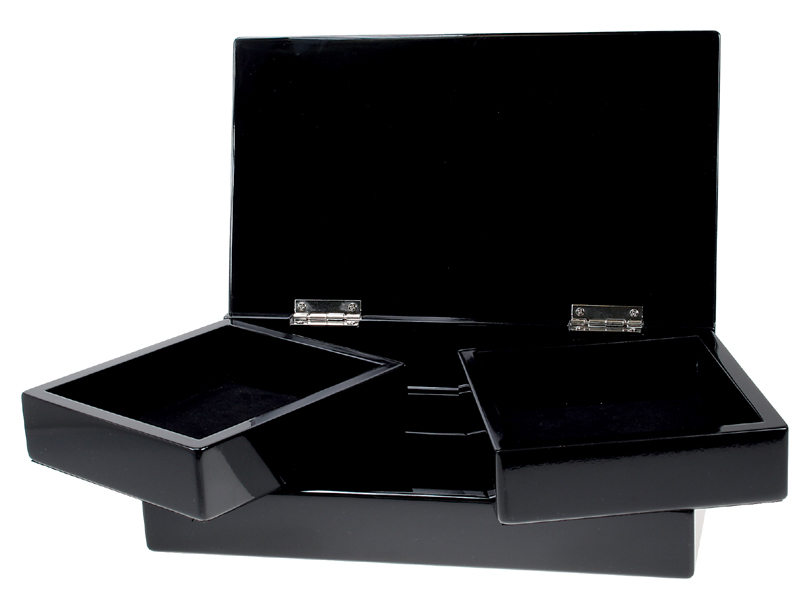 There are three lower compartments measuring as follows: 2 7/8" x 4 1/2" x 1 3/8". 5 7/8" x 2 1/2" x 1 3/8". 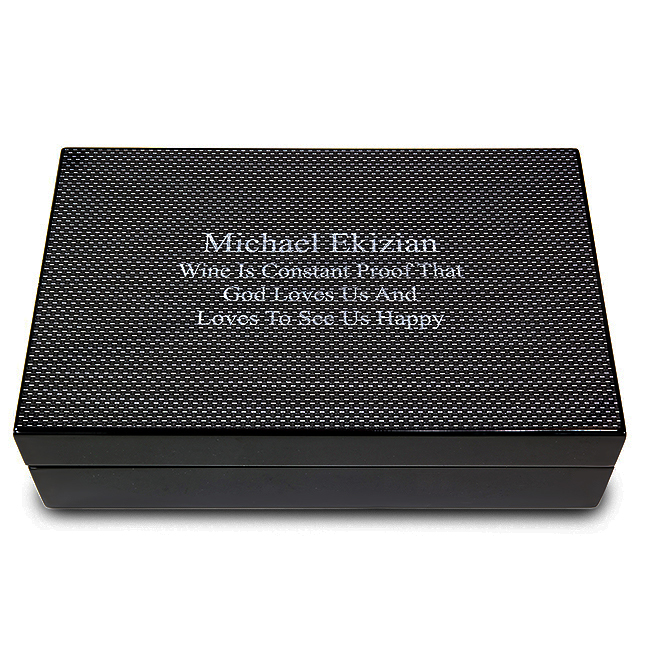 5 7/8" x 1 3/4" x 1 3/8"
I would like to see a sample of this box engraved. Is that possible? It doesn't need to be my engraving just a sample of what it looks like engraved. 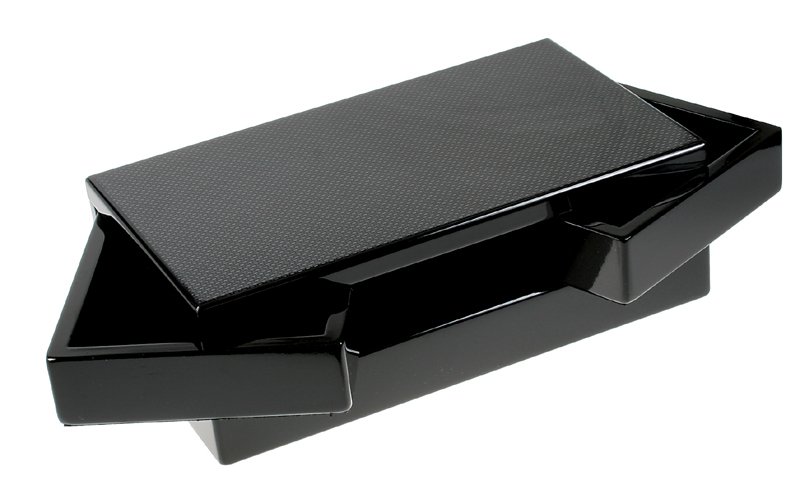 We are adding a picture that shows exactly what the carbon fiber face looks like with engraving. I hope this helps! In the photo it shows 4 lines of engraving. I am one space short for my second line, is it possible to get one extra space on a line? I am only looking to have 2 lines of engraving. Yes, we can definitely do that for you. 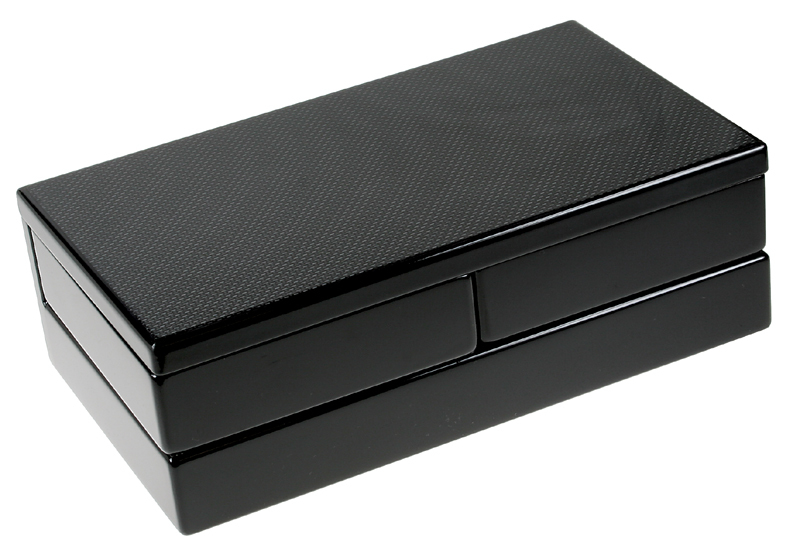 Just add your engraving instructions to the comments section of our checkout page (the billing and shipping page).